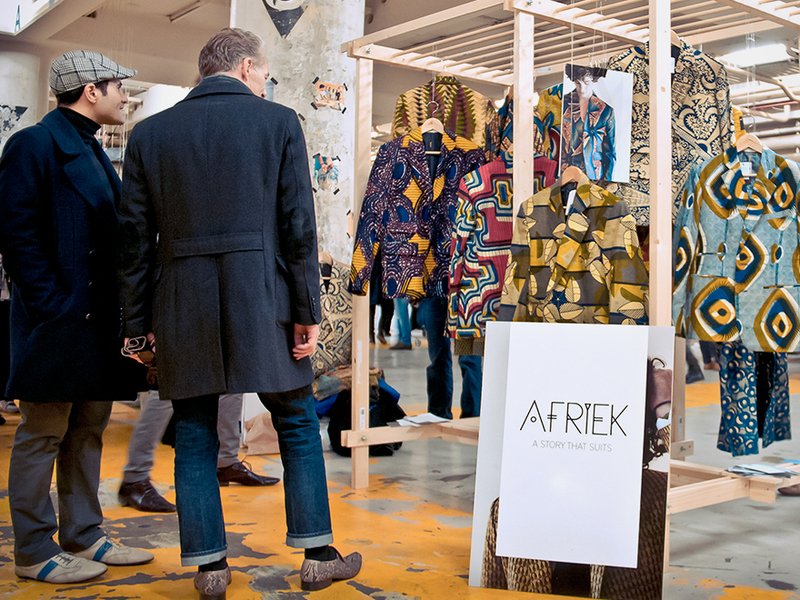 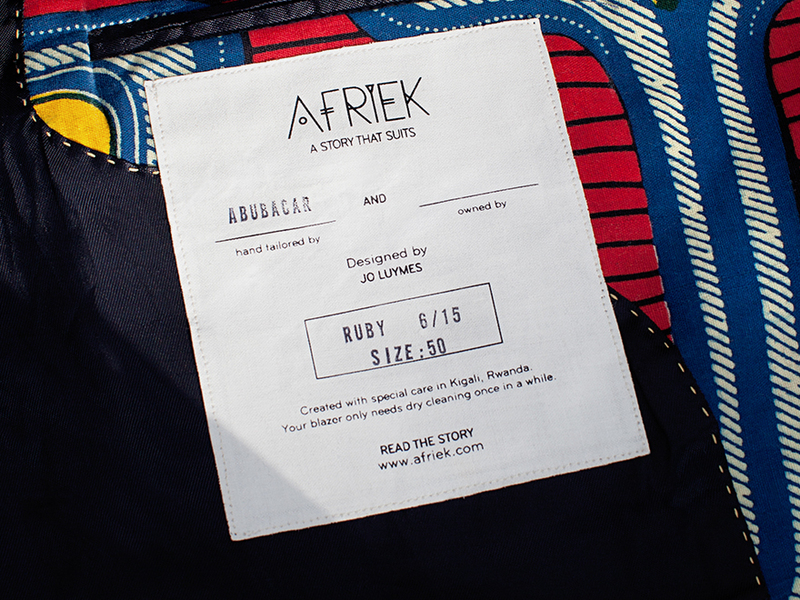 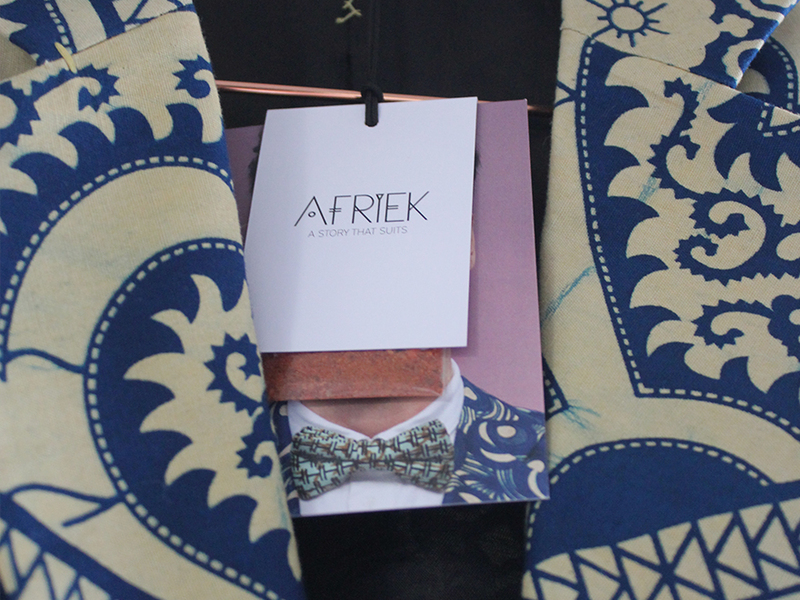 Afriek Combining Western and African cultures. 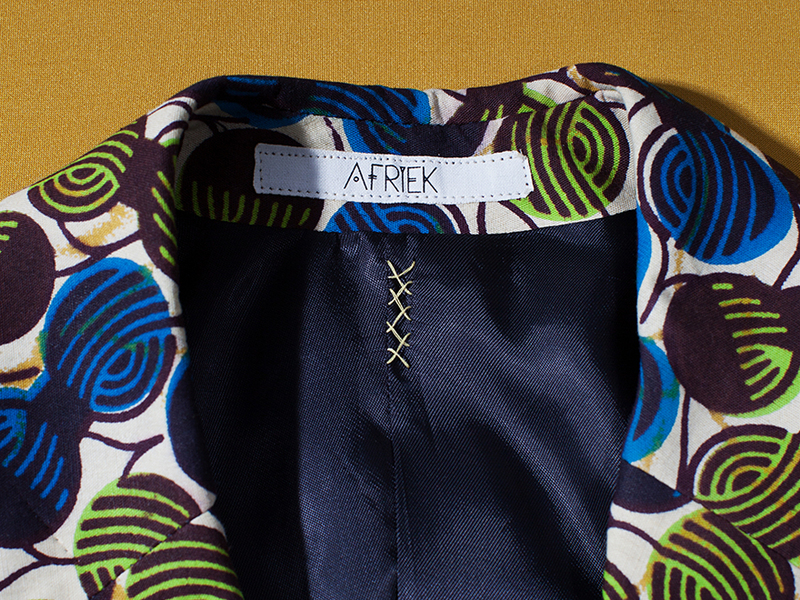 A story that suits is the story behind the blazer, a story that often remains unwritten. 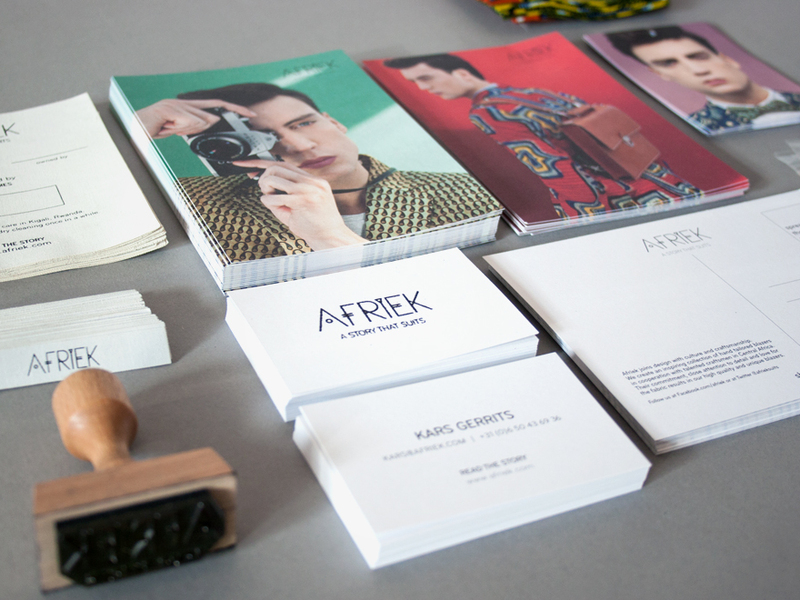 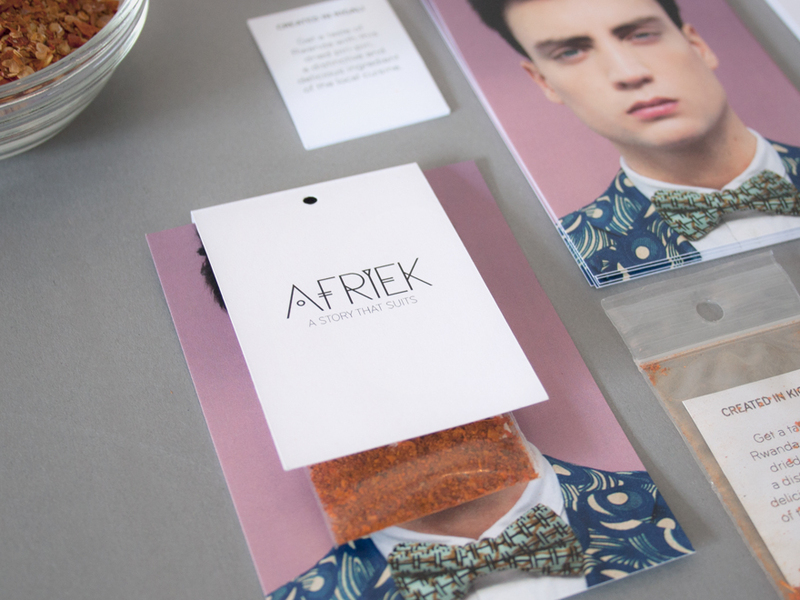 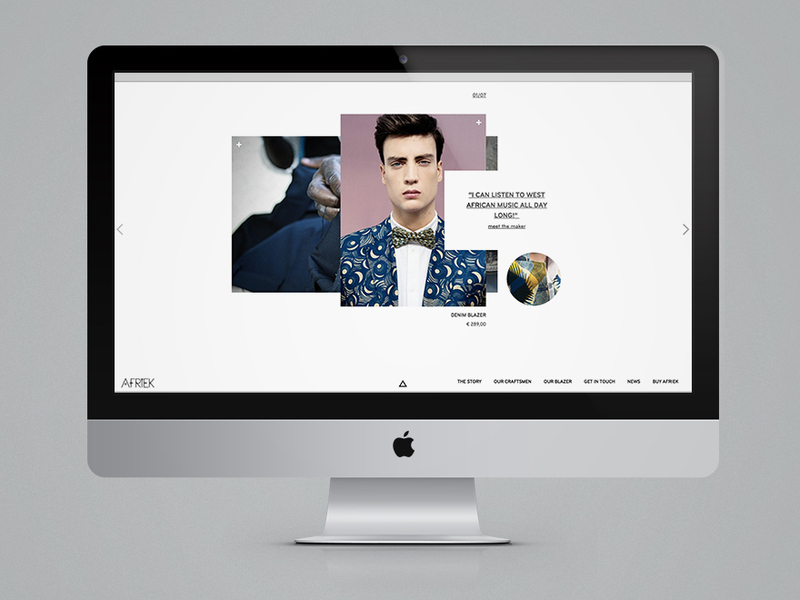 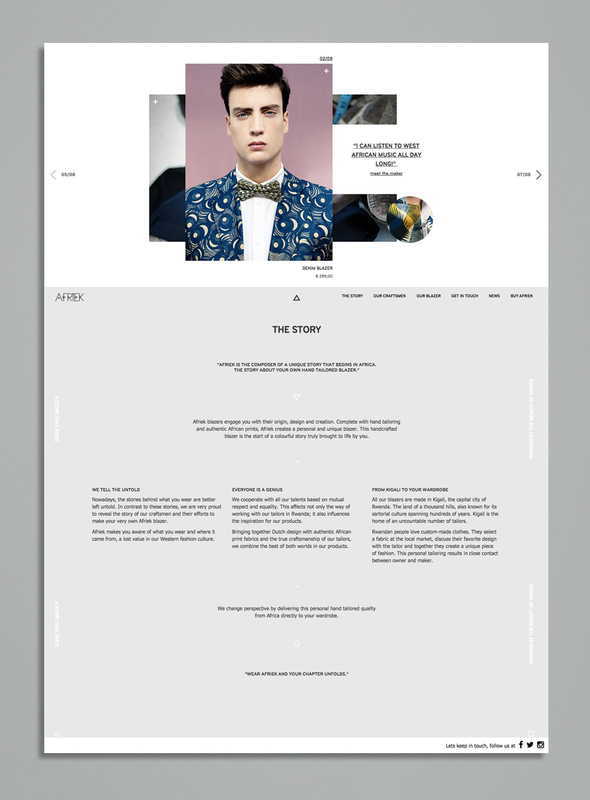 The Afriek brand identity creates curiosity with overlapping and blocked content. 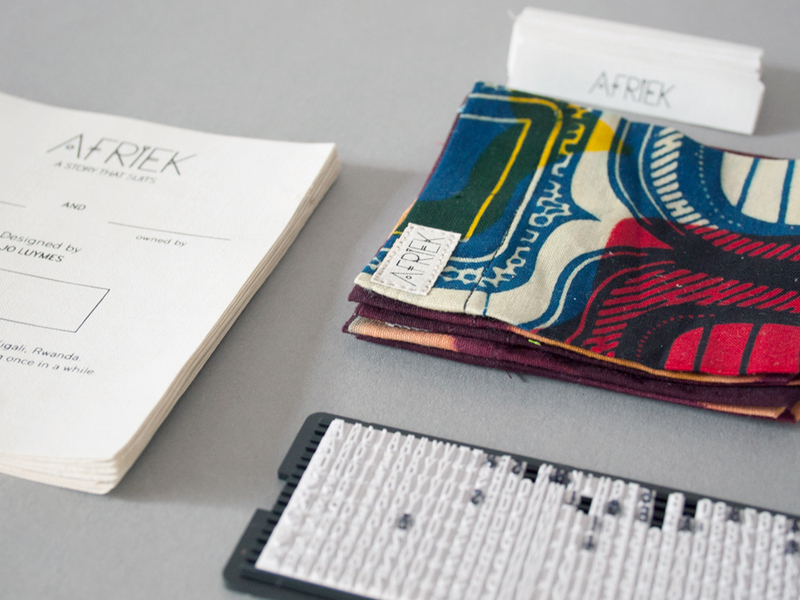 It stimulates the viewer to interact and explore.